1. Two-time conference player of the year Ibrahim Jaaber led the Ivy League in steals and assists and was second in scoring to teammate Mark Zoller. Jaaber finishes his Penn career as the all-time Ivy League leader in steals, and is the kind of poised, experienced guard to whom commentators love to point at tournament time. He also has a fantastic name. 2. In last year's tournament, 15 seed Penn led 2 seed Texas at the half before coming up short, 60-52. Widely forecast as a 14 seed this year, the Quakers might face an overachieving 3 seed like Southern Illinois or Washington State - good as they are, not teams that put fear into the hearts of small-college players. 3. 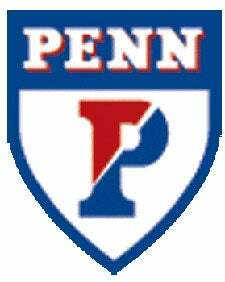 Surprising as it may be, Penn has a Final Four pedigree; the Quaker team led by Tony Price beat four higher-seeded teams in a Cinderella run to the 1979 Final Four. The Quakers were defeated by Magic Johnson's Michigan State Spartans, the eventual champions. 4. In one of their best games this season, the Quakers defeated Drexel, a tourney hopeful with a 39 RPI and wins against Syracuse, Villanova, and Creighton. 5. As much as people laugh at the team name, the actual Quakers are kind of awesome. Prominent in the abolition and anti-war movements for centuries, the Religious Society of Friends is a religion that's small in number (approximately 350,000 around the world) but hugely respected by those who value stubborn adherence to a moral code. Ironically for a group that opposes violence, Quakers sure do stick to their guns. 1. Aside from the Drexel win, Penn hasn't beat anyone: they lost to Syracuse, Villanova, UTEP, Seton Hall, and St. Joe's. Most damningly, they lost to UNC - perhaps the exact caliber of team Penn might meet in round one - by a brutal 102-64 score. 2. William Henry Harrison, Penn alumnus, is quite possibly the lamest US President ever: He developed pneumonia shortly after his two-hour Inaugural Address, delivered in the wind and rain and died 30 days into office. 3. While many praise the Ivy League for being the only conference to award its automatic NCAA tournament bid to the regular-season champion rather than a conference tournament winner, it also means that the Ivy League champ is the only team to make it to March Madness with no experience in a one-and-done tourney. 4. Though they're a popular Cinderella pick in office pools nationwide thanks to their...uh... fundamentally sound basketball, the Ivy League hasn't won a tournament game since 1998, when 5 seed Princeton defeated UNLV.